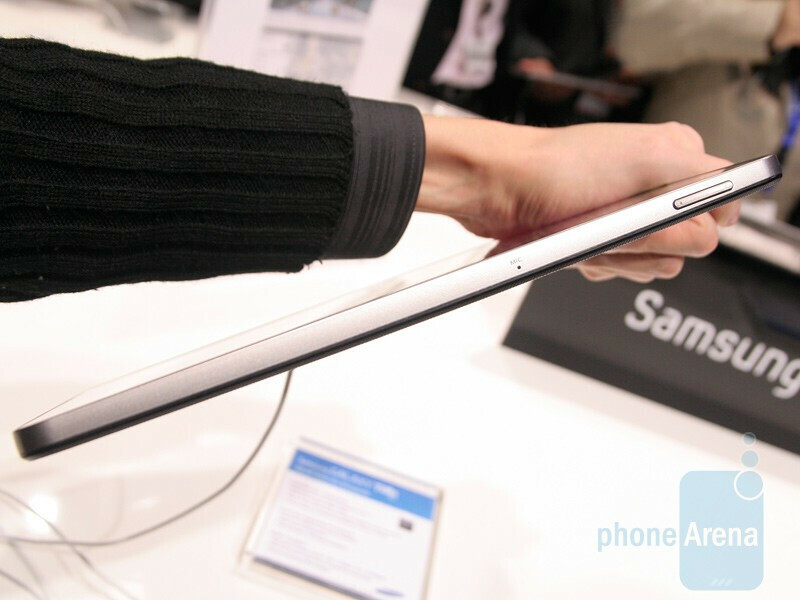 When we got to play with the Samsung Galaxy Tab 10.1, we immediately realized how well-sized it is for a 10" tablet. The bezel around the screen is just enough to have a comfortable grip, but not too wide to make the slate look unwieldy. 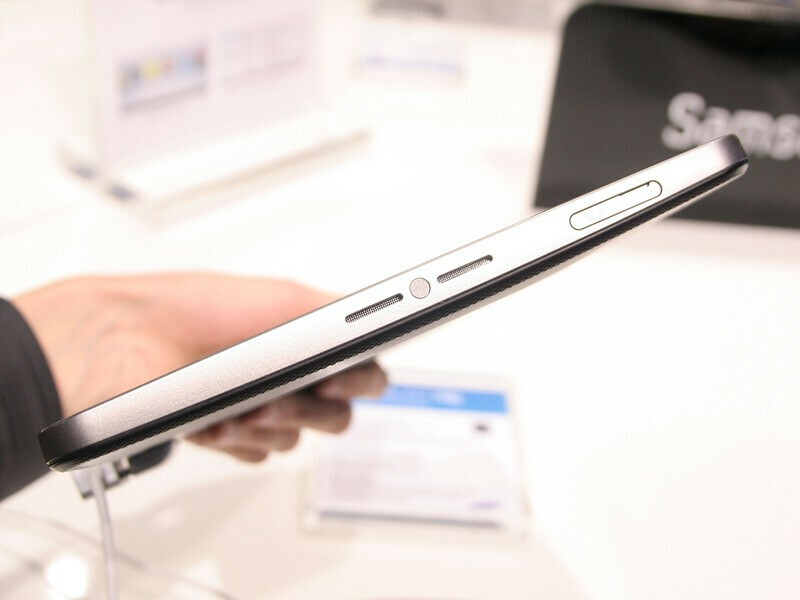 At 0.42" (10.9mm) it is thinner than many a smartphone we know, and not only from its predecessor, but way thinner than its direct competitor, the Motorola XOOM, and also way lighter at 21.13oz (599 g), against the 25.75oz (730 g) for Motorola's baby. 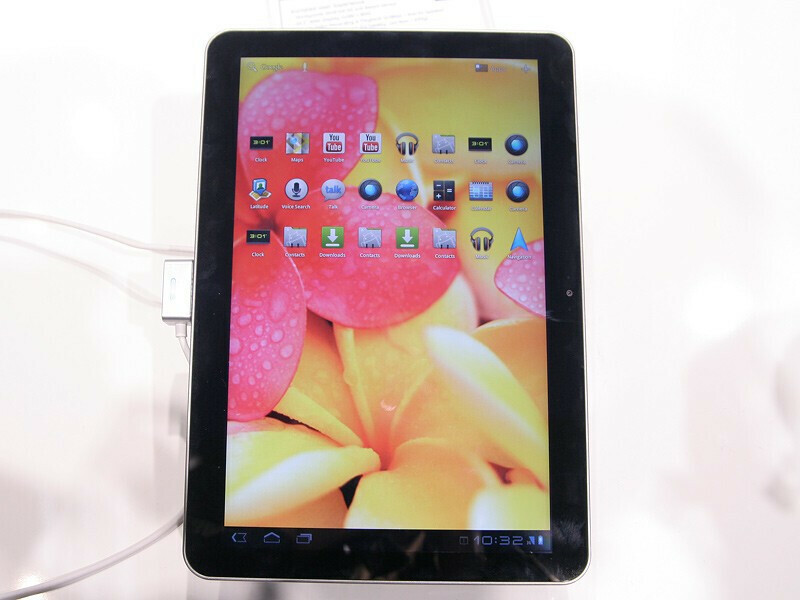 The light weight is mostly because of the choice of materials, since the Galaxy Tab 10.1 is entirely plastic, both the back, and the front bezel. The screen of 800x1280 pixels looked bright, with very good viewing angles, but we are not sure if this is the PLS LCD technology that might go in the next iPads, most likely it is not ready yet, but the screen is very good nonetheless. What about Super AMOLED, you'd ask? Samsung is nowhere near mass production of 7" and larger AMOLED screens, which will kick in full gear later this year. 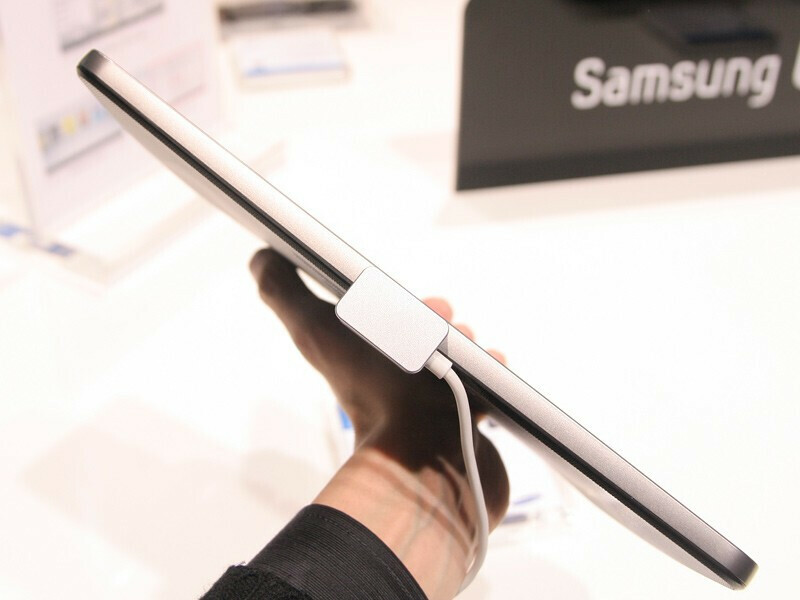 The back, albeit plastic, earns our approval, because it has a nice grip pattern to it, and is mostly flat except where it counts when holding it, thus avoiding rocking the tablet when typing on it on a flat surface (nudge, wink, iPad). 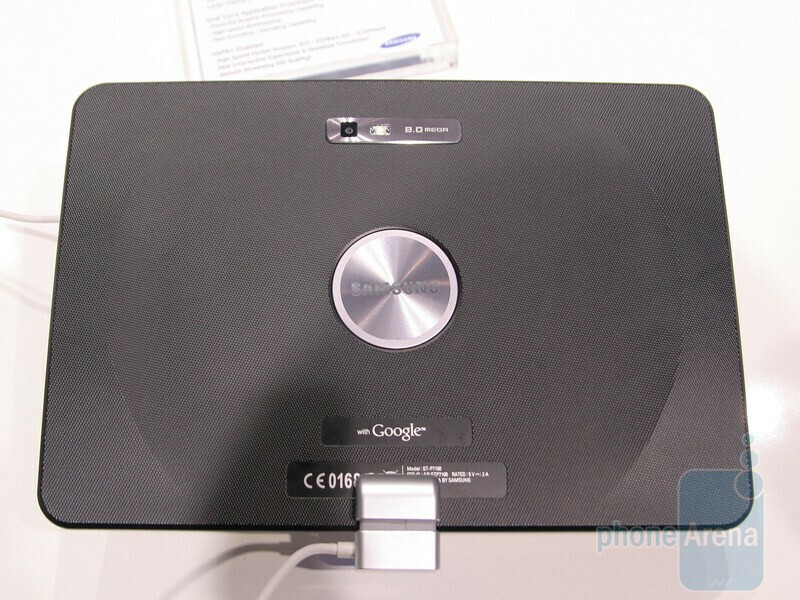 The back hosts an 8MP camera, a first in a tablet, which not only looks suspiciously like the one on the Samsung Galaxy S II and the Infuse 4G, but shoots Full HD 1080p video at 30fps just like them too, if you are so inclined. Sammy went with a Tegra 2 chipset here, and it makes sense - why bother jumping through the Google hoops until its own dual-core Exynos chipset is approved for Honeycomb, when Tegra 2 has already done that as a reference platform. NVIDIA Tegra 2 does 24fps video capture in Full HD mode, as opposed to the 30fps Exynos allows, but somehow we doubt you'll be using the Samsung Galaxy Tab 10.1 extensively for 1080p video sessions anyway. 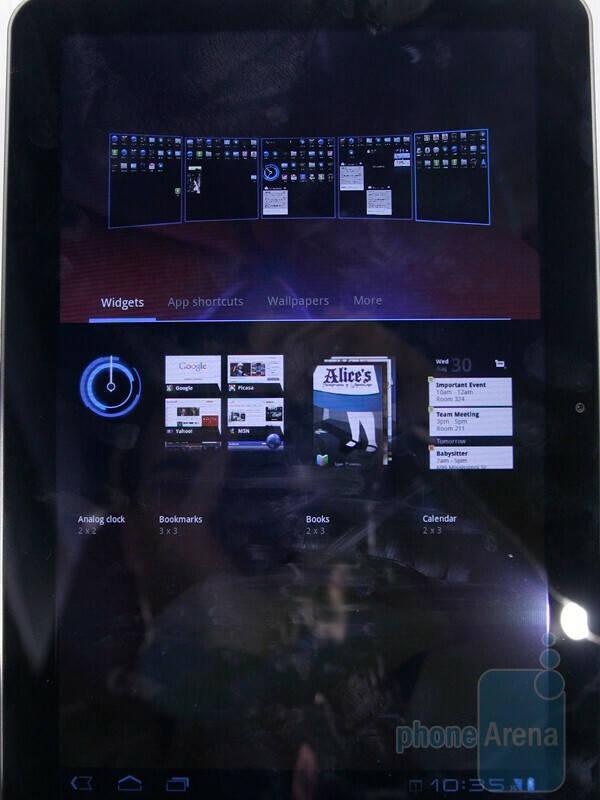 The tablet-oriented Android 3.0 Honeycomb is in a league of its own when it comes to slate interfaces, with extensive use of multiple panes throughout, which makes your life easier. The Samsung Galaxy Tab 10.1 runs stock Honeycomb, nothing TouchWiz-y on it, which is a good decision for Samsung's second generation Android tablet. 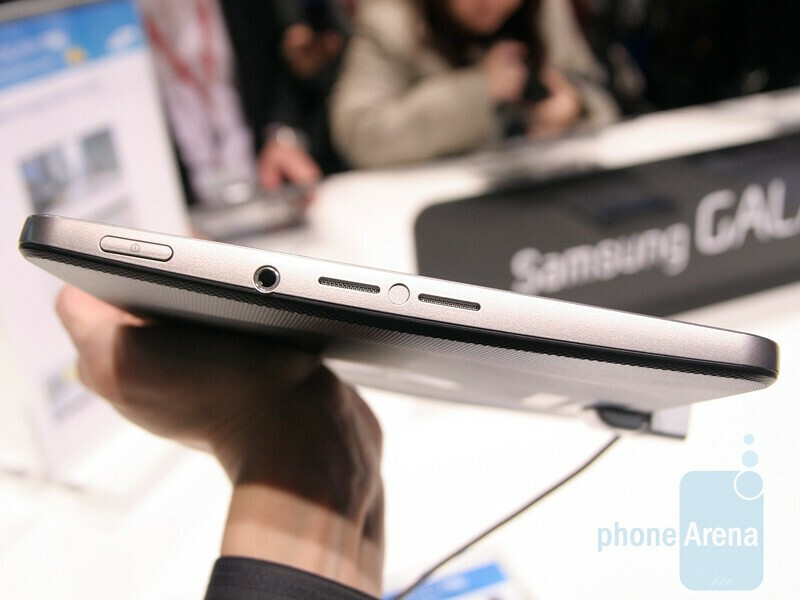 All in all we were very pleased with the thin design, the weight, and the generous camera resolution on the Samsung Galaxy Tab 10.1 - in many ways it might turn out better than that anointed Honeycomb tablet from Motorola. 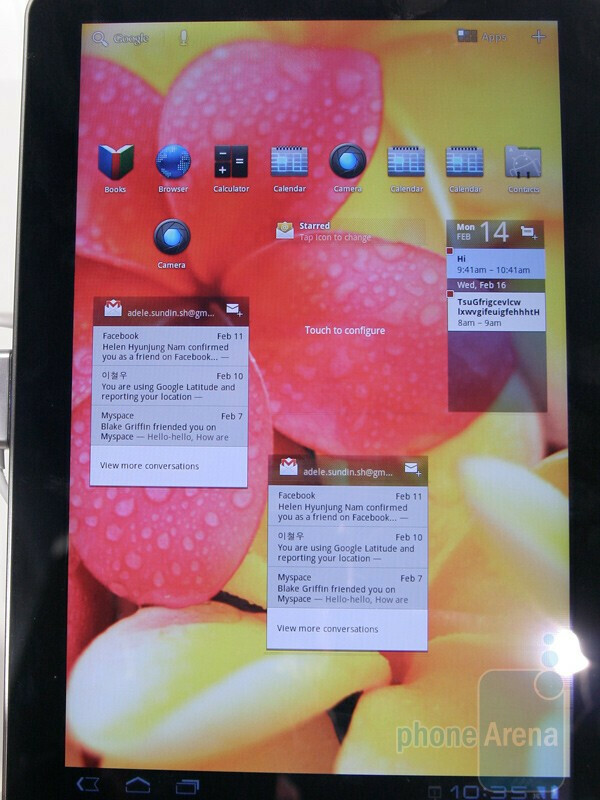 Impressive Tablet w/ Honeycomb, hope that this Galaxy comes with Gorilla Glass in it. Why isn't anybody talking about this thing's Achilles heel? It doesn't have a USB port, so you're tied to some sort of synchronization software! How is this different from the iPad? 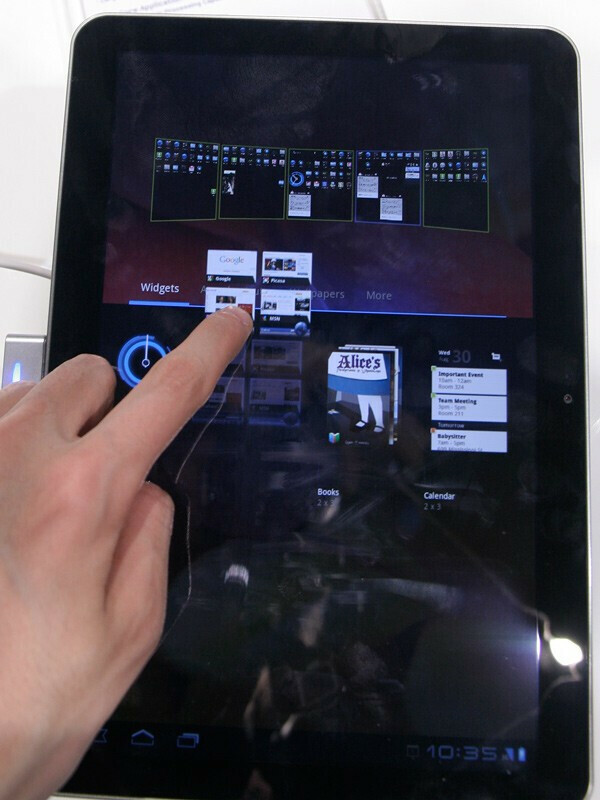 Consumers want an independent device, that we can sync should we choose to! If I'm going to buy a tablet that I have to sync all the time I might as well get the iPad as there's more content available for it! 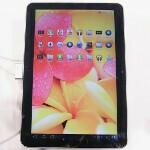 The Xoom shows much more promise in the independent device department. Um, why don't you try watching the vid, starting around the 1:00 mark, he clearly states that it has a micro-usb port. It's just covered with the security dongle. Way too large!!!! Why did they do this? I just hope they are really going to still support the 7 inch version with HC and SAmoled Plus. 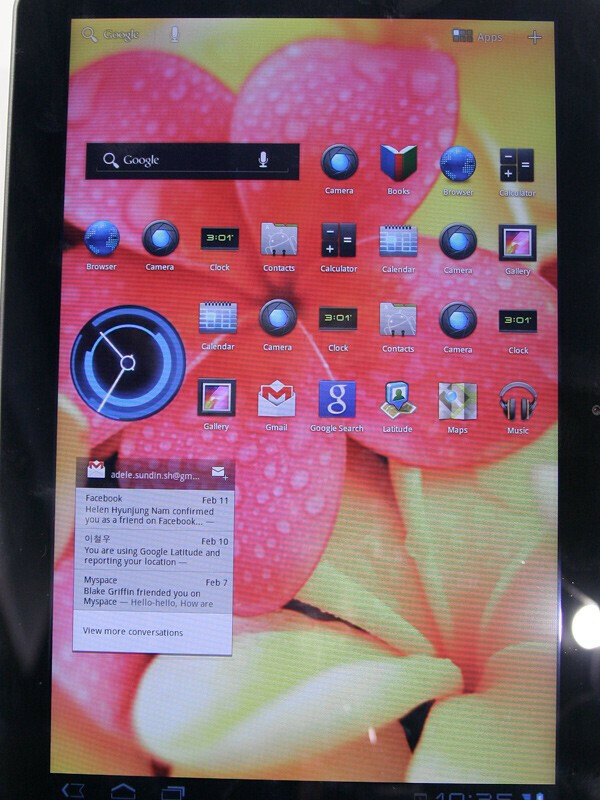 Also, HTC is on it with Pen input; however, it has that crappy HTC sense inteface with a non-table OS of Android 2.3. I want Honeycomb (or think I want it). I want one handed use (one hand can grip, width-wise, fully around the device), hence, 7inch screen or even LG's 8.9 wide format does the job. I want Pen input for CONTENT CREATION!!!! Hence, Ntrig or Wacom will need to be involved with the screen. The idiots at Microsoft botched the whole thing by insisting on a full Windows OS on their tablets. Completely imbecilic as this is not efficient!!! Go with WP7, Wacom, and support devices sizes for one handed width-wise grip, and there will be "one OS to rule them all" with there productivity and enterprise focus! !